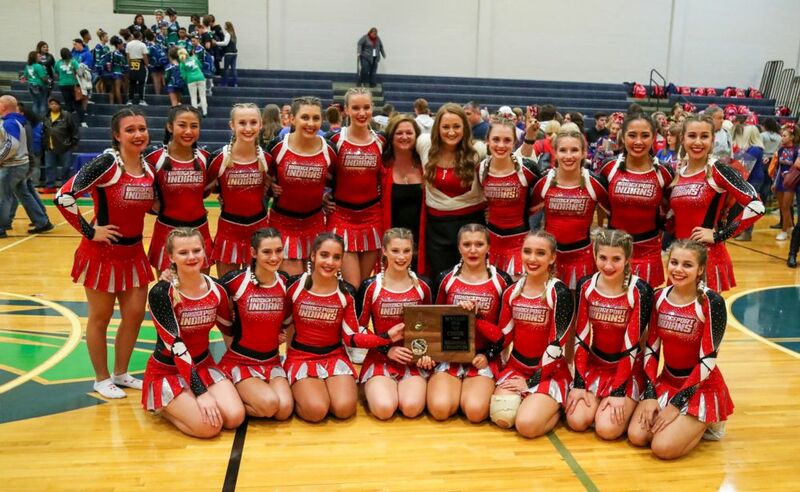 After capturing the top spot in Saturday's Region II, Class AA cheer championship, Bridgeport High School will compete in the Big Ten cheer competition tonight at Buckhannon-Upshur High School. "We will get to compete against some other teams that weren't in our region, including a couple AAA teams," said BHS Coach Natalie Hathaway. "We also had a couple things we needed to work on after Saturday's performance, so it's ag reat opportunity for us to get to perform in front of a crowd again and hopefully work some of those kinks out." Big 10 Cheer teams begin at 6 p.m. In order of performance, those teams are Lewis County, Liberty, Lincoln, North Marion, Philip Barbour, Preston County, Robert C. Byrd, Bridgeport, Buckhannon-Upshur, East Fairmont, Elkins, Fairmont Senior and Grafton. RCB claimed the runner-up position in Saturday's Region II, Class AA competition. Both BHS and RCB will compete for the Class AA state title Dec. 8 at the Charleston Coliseum and Convention Center. Members of the Indian cheer team are seniors Isabelle Cunanan, Lexi Galan, Sophie DelGreco and Ashley Weber (pictured, right); juniors Miranda Kress, Lindsey Suter, Sophia Gorby, Addison Boggs and Alyson Gibson and freshmen Lilly Strait, Gyllian Wagner, Emilia Underwood, Lauran Johnston, Rylee Mullins, Amelia Duarte, Jade Nguyen and Lillian Iaquinta. Janet Hathaway serves as assistant coach for the Tribe cheerleaders.